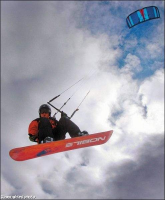 What To Do > Colorado > Breckenridge Summit County > Activities > Colorado Kiteforce - Get into snowkiting! You HAVE to try this! Get into snowkiting! You HAVE to try this! Snowkiting is the newest and fastest growing winter sport - with good reason. It's exciting and easy to learn. 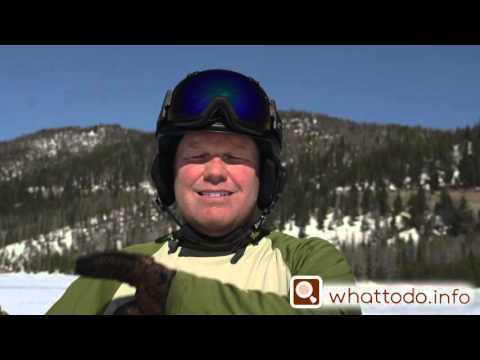 If you already have a board or skis you are halfway there! A one-day lesson is all you need to begin cruising snow-covered Lake Dillon and enjoying the beautiful vistas and jaw-dropping thrills. Colorado Kiteforce is the premier snowkiting school in the country. As an IKO/ PASA-certified school, you will find top-level, certified instructors at Colorado Kite Force to get you and your family on the fast track to success. It is also a demo center for Ozone Kites. Book your lesson. And remember Snowkiting is the fastest way to learn how to kite board for fun in the water next summer. Activity - Get into snowkiting! You HAVE to try this!